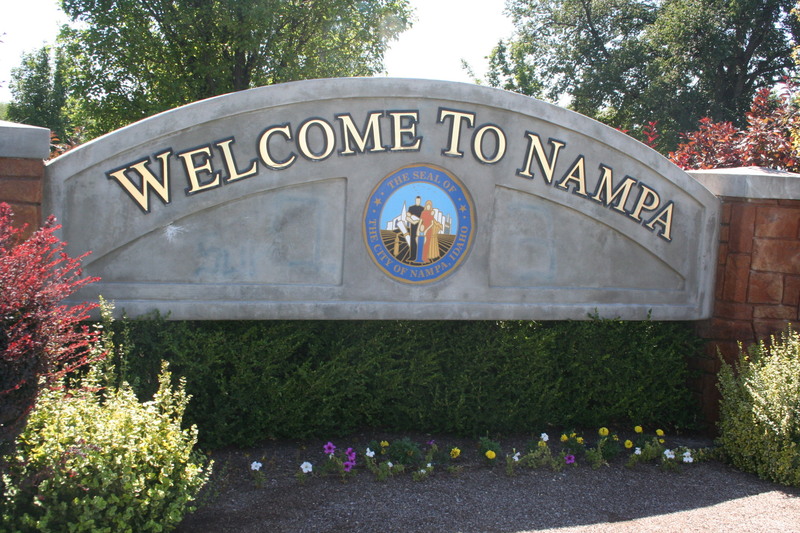 Nampa has twenty-four parks, the largest of which is Lakeview Park. The Nampa Recreation Center, a 140,000-square-foot (13,000 m2) facility containing a six-pool aquatics center, three gymnasiums, racquetball courts, a walking/running track, a weight room and exercise equipment, a climbing wall, and a number of other activity areas, opened in 1994. Centennial Golf Course (18 holes) and Ridgecrest Golf Club (27 holes) are owned and operated by the City of Nampa. The Ford Idaho Center is a complex of entertainment venues. Venues include a 10,500-seat amphitheater which was built in 1998 and features a 60-by-40-foot stage; a 12,279-seat arena featuring 31,200 square feet (2,900 m2) of arena floor space; the Idaho Horse Park, used for horse shows; and the Sports Center, used for track and field events including the home meets of the Boise State University Broncos track teams. The Idaho Center arena is best known for hosting the Snake River Stampede Rodeo during the third week of July every year. The Snake River Stampede is considered one of the nation’s top rodeos. The arena is the former home of the Idaho Stampede of the Continental Basketball Association and the Idaho Stallions of the now defunct Indoor Professional Football League and is used for concerts; trade shows, sporting events, and other events. The Idaho Center arena is the former home of the NAIA Division II Men’s Basketball Tournament. Upon its completion, the tournament moved to the Idaho Center in 1998 from its former home on the campus of Northwest Nazarene University (then known as Northwest Nazarene College). The tournament left town in 2000 when NNC became a University and left the NAIA to become an NCAA Division II School.